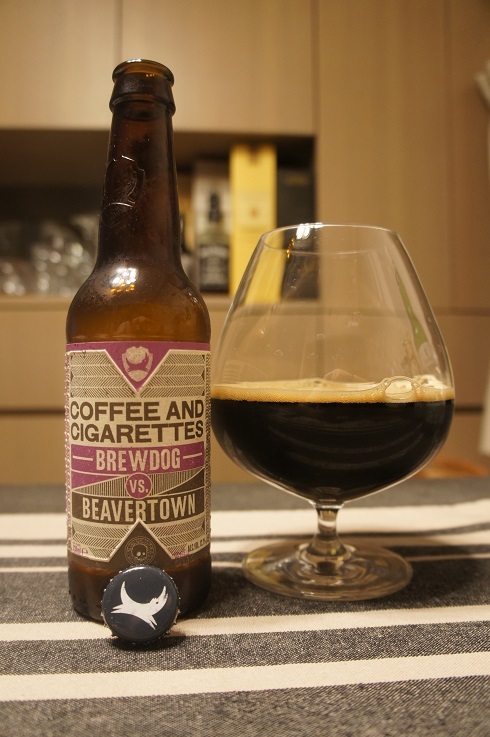 Brewer Description: (from bottle) Coffee and Cigarettes. A perfect percolation. Blacker than a Milan Espresso. This smoking gun of a stout gives you both barrels. Smoky peat, roasted coffee and bitter chocolate on the nose. Big espresso and molasses on the palate with subtle notes of coconut, vanilla and raisin. 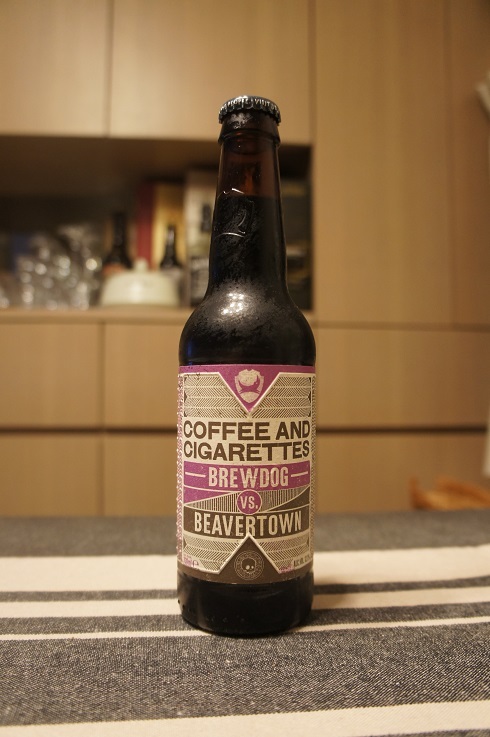 Coffee and Cigarettes – for those of us who want to stay up late and drink beer. Intro: A 330ml bottle with a best before date of 12th March 2022. Poured into a snifter. Appearance: Black in colour with a half finger mocha head that dissipated quickly except for parts that clung around the glass and sparse spotty lacing. Aroma: Chocolate and roasty coffee with hints of oak, charcoal, whisky and smoky peat. Taste: Sweet, smoke, peaty whisky, plum and raisins with only hints of the roasty chocolate and coffee that I got in the aroma. Overall: This was not at all what I was expecting. The roasty chocolate and coffee that was so evident in the aroma was completely overpowered by the strong barrel character of peat and whisky such that in a way, it didn’t feel like an Imperial Stout. That’s not to say that it wasn’t good, but it would definitely help if you enjoy peat like I do. The result seemed like an easy to drink peated whisky minus the kick.